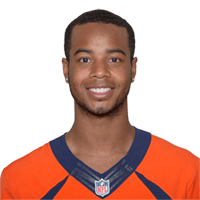 Published: Nov. 6, 2016 at 09:44 p.m.
Denver Broncos QB Trevor Siemian connects with wide receiver Jordan Norwood for the 36-yard TD. Published: Feb. 7, 2016 at 07:52 p.m.
Denver Broncos return man Jordan Norwood dodges initial defenders and darts up the sideline for 61 yards to put the Broncos in scoring position in Super Bowl 50. Published: Dec. 20, 2015 at 07:04 p.m. Published: Aug. 8, 2014 at 01:03 a.m.
Denver Broncos quarterback Brock Osweiler connects with wide receiver Jordan Norwood for a 34-yard touchdown.